European Commission President Jean-Claude Juncker is convening an informal working meeting on migration and asylum issues in Brussels on Sunday, "in order to work with a group of Heads of State or Government of Member States interested in finding European solutions ahead of the upcoming European Council", said a statement released by the European Commission. Mr Juncker started his visit with a meeting with Taoiseach (Irish prime minister) Leo Varadkar and Irish Foreign Minister Simon Coveney at Government Buildings in Dublin. "I am strongly against any temptation to isolate Ireland and not to conclude the deal on Ireland". He argued the uncertainty as to whether people and goods will still be able to travel freely across the 300 mile Northern Ireland/Ireland border after Brexit was feeling the nationalist sentiment. On Friday the Commission President will meet Irish President Michael D Higgins and visit the home of the Gaelic Athletic Association (GAA), Croke Park, and the GAA museum. Ahead of Mr Juncker's arrival in Dublin, the Taoiseach said: "This is an important opportunity to assess the state of play in the Brexit negotiations". But there will be no withdrawal agreement without a fully operation backstop. On a visit to Dublin, Mr Juncker said fellow European Union member states would not let Ireland be "isolated" on the impasse, insisting the demand for a resolution was a Europe-wide demand. Mr Juncker will be accompanied on his engagement in Dublin this morning by Mr Barnier and European Union agriculture commissioner Phil Hogan. 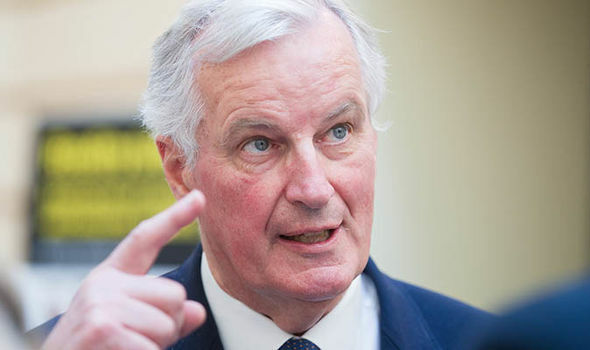 Juncker's a two-day visit to Dublin, accompanied by EU Brexit negotiator Michel Barnier and EU Agriculture Commissioner Phil Hogan, is meant to reinforce the message that the rest of the EU will continue to stand shoulder to shoulder with Dublin on the border issue. However, Prime Minister May has described this as unacceptable, while United Kingdom government ministers want the backstop to be time-limited. Addressing both houses of the Irish Parliament in Dublin, he said time was running out to find a solution to the border issue. "This government must desist from overselling minimal progress as big political wins, which is what was done with the backstop in December, when we were told it was "rock solid", "cast iron" and "bullet proof" although it still remains to be agreed some six months later". "The government has had two years to work this one out".